In an endless quest for affordable living, decent housing and peaceful community, I often consider relocating even though I have relocated many times before. When faced with rude, polluting citizens or lax enforcement or other hazards of humanity, I perpetually wonder if other towns or countries are any better. Today I saw a MSNBC.com article about the 2012 Peace Index! There is a US Peace Index and a Global one. For the USA, metropolitan areas are categorized as well as states. The website is awesome and has many other fascinating features too: http://www.visionofhumanity.org/. 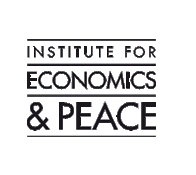 A project of the Institute for Economics and Peace, the founder is Australian entrepreneur/philanthropist Steven Killelea. Here is a bit of its mission: "Vision of Humanity is a strong proponent of the need to further study, advocate and act on peace. It groups together a number of interrelated initiatives focused on global peace which enjoy the support of a wide range of philanthropists, business people, politicians, religious leaders and intellectuals. It brings a strategic approach to raising the world’s attention and awareness around the importance of peace to humanity’s survival in the 21st century." Check it out!